Join the first Ecumenical Prayer for Creation in Assisi to celebrate the World Day of Prayer for Creation and the opening of the Season of Creation. The ecumenical prayer service will begin on Friday, August 31 at 5 p.m. and will conclude on Saturday, September 1 at 11 am (the full program is available here). During the Season of Creation, the world’s 2.2 billion Christians are invited to pray and care for creation. The season runs annually from September 1 through October 4. The theme of this year’s Season of Creation is “walking together,” and this prayer service will kick off a pilgrimage to Poland, site of this year’s UN climate negotiations. 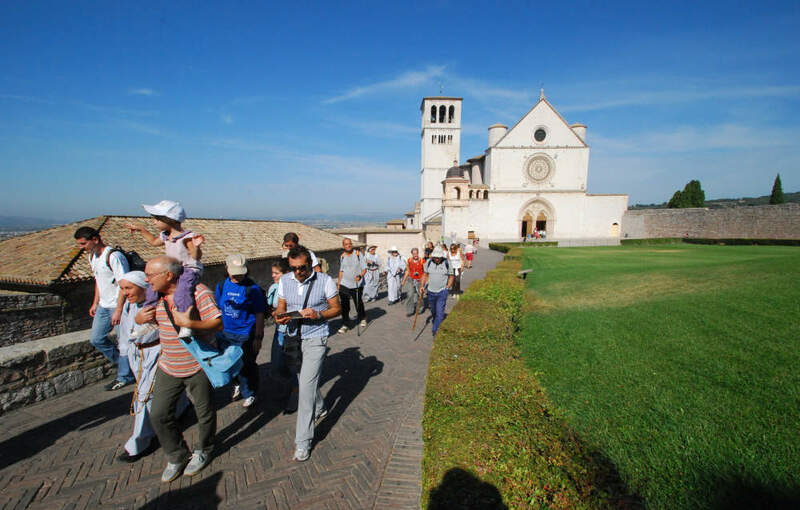 The pilgrimage will begin along “The Path of Francis” from Assisi to Gubbio (register here), now in its 10th Anniversary. The pilgrimage will end in Katowice, Poland, site of the global climate talks known as COP24, a crucial international event and the next step in the implementation of the Paris Agreement. A joint Ecumenical Declaration on Creation will be released on September 1 at 10 a.m. in front of the Basilica of Saint Francis as part of the prayer service. The Declaration on Creation will invite all Christians and people of good faith to celebrate the Season of Creation and take bold action for climate.